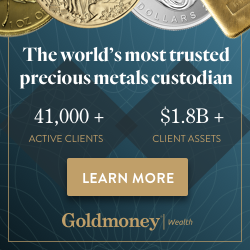 Gold and silver prices were modestly lower in early-afternoon U.S. trading Monday, on some mild profit-taking pressure from the shorter-term futures traders and on normal downside corrections amid their uptrends. A firmer U.S. dollar index and upbeat trader and investor attitudes to start the trading week also worked against the precious metals markets. However, the gold and silver bulls still have the firm overall near-term technical advantage, which means the path of least resistance for prices remains sideways to higher. April gold futures were last down $2.90 an ounce at $1,319.30. March Comex silver was last down $0.046 at $15.88 an ounce.